I spent a pretty wild night in the bivy with plenty of rain and wind pounding against the fabric cocoon, but I did manage to get some snoozing in. The sound did change during the night though, when I heard what sounded like sand getting blown against the bivy. I didn’t take much notice of it until early morning and then I found out what it was. There had been a good cover of snow fall overnight that looked fantastic, so I got up straight away to have a look around. It was a great sight, but it scotched the plans to spend the day exploring the Walls. The very low cloud and falling snow meant any climbing for the day was on hold. I can’t see the point of climbing hills if I don’t get a view at the top! The other couple within the hut were up early and gone, so I hope we didn’t cramp their style too much. My original intention was to spend another night at Dixons Kingdom after spending a day exploring the Walls without a pack on. The weather wasn’t looking good though, but we did wait for quite a while to see if it would clear. 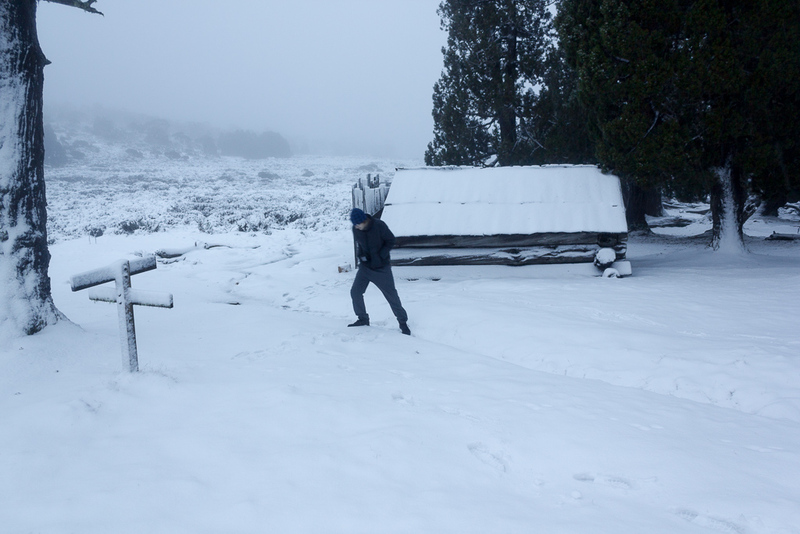 If exploring was to be abandoned, my second option was to make our way to the Lake Ball Hut. This was only a handful of kilometres away and spend the night there. 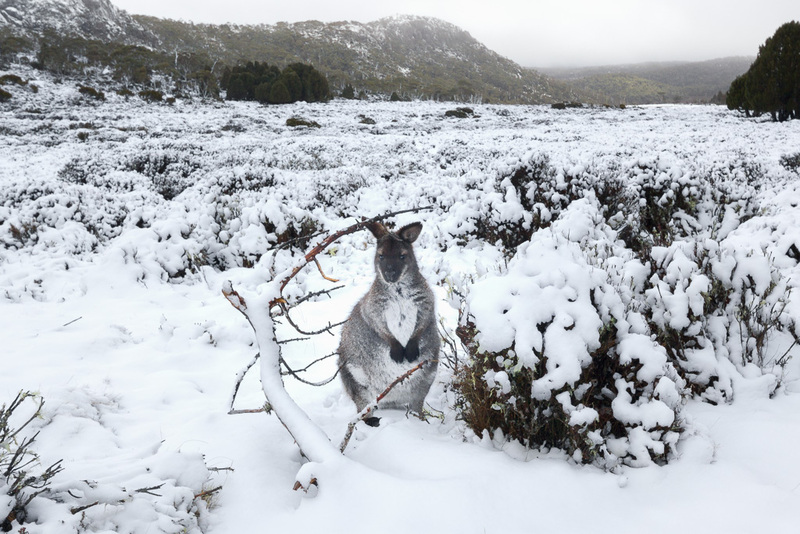 So, we pottered around enjoying the snow with a wallaby nearby who kept a pretty good eye on us. We ended up waiting until the afternoon, but the weather wasn’t getting any better. In the end, we packed up and headed south down Jaffa Vale towards Lake Ball. I couldn’t remotely see a track with the snow around, but it was pretty straightforward, comfortable walking. Short and downhill explains why I wasn’t feeling remotely tired when we reached Lake Ball. 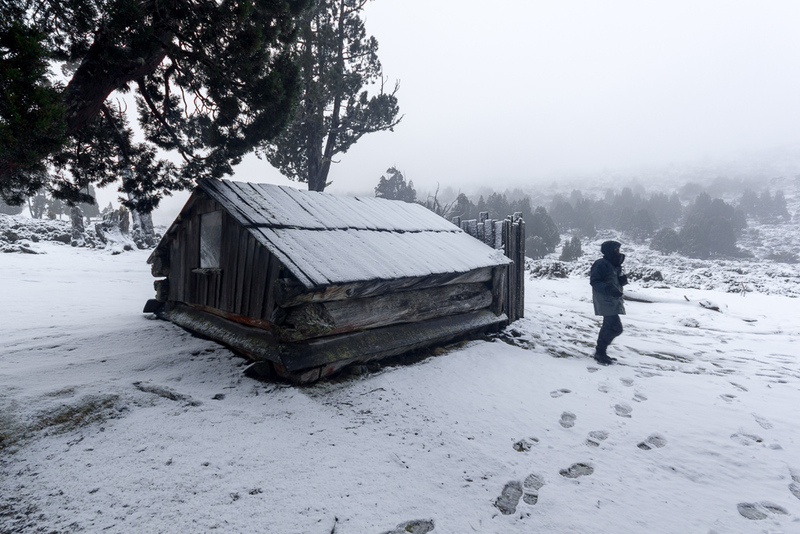 We walked along the edge of Lake Ball and soon found the hut. It was pretty rough and ready with plenty of gaps in the timber which promote good ‘air circulation’. 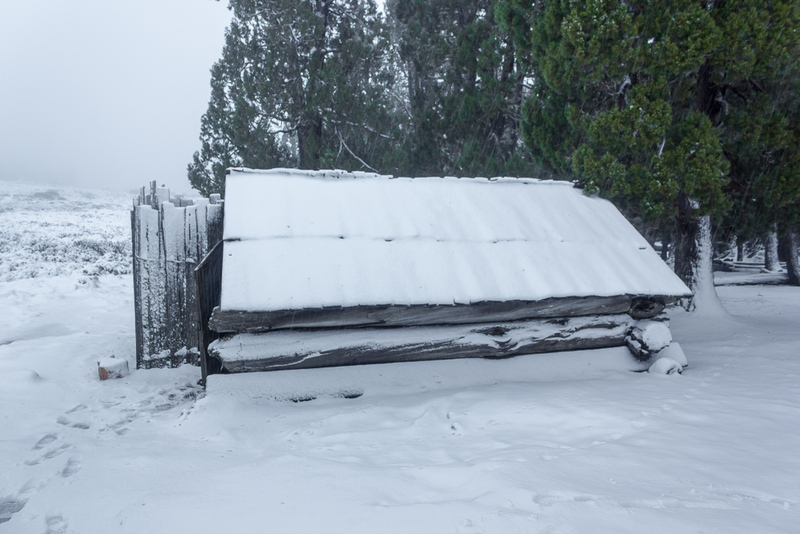 The fireplace in the hut is sealed off, so there was no chance of getting some heat going. Anyway, we elected to enjoy the plentiful air conditioning and be thankful we weren’t sleeping outside! 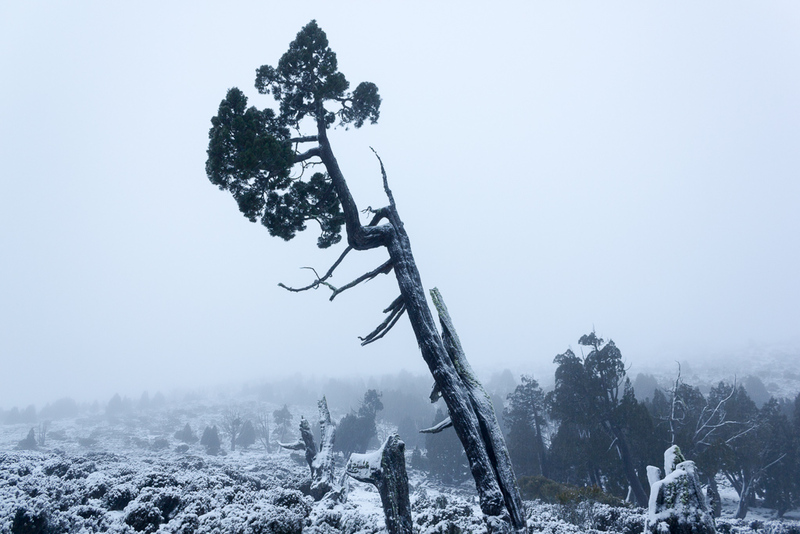 Our grand plans for the day didn’t eventuate, but I guess it was to be expected on a winter hike in Tasmania. 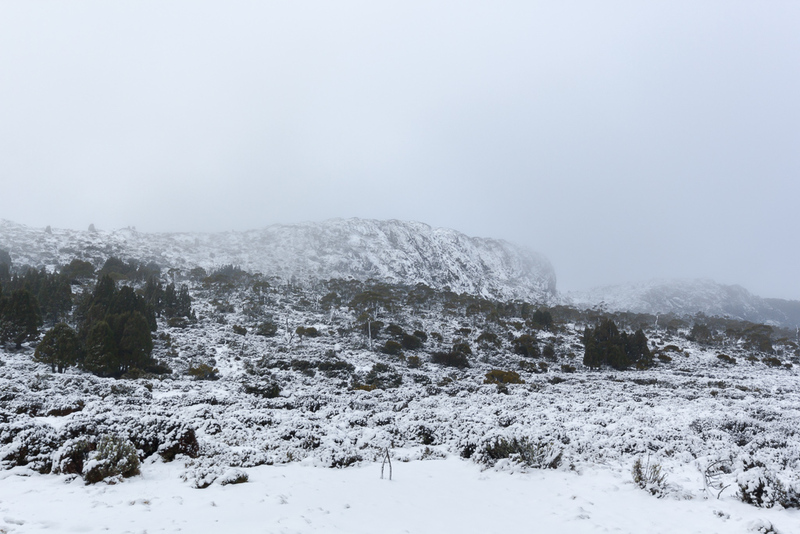 We’d only walked 5 km from Dixons Kingdom to Lake Ball Hut, Walls of Jerusalem via the snow laden Jaffa Vale. No pics of Lake Ball Hut? Any interior shots of Dixons Kingdom? Is the fireplace working and firewood there or just a fur rug? Shots remind me of the film Tale Of Ruby Rose. Brrrr. 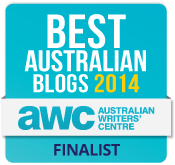 This was the early days of the blog, so the entries were short and I stuck to the 'hardly any photos' method. Since then, that theory has gone out the window. Yes, I do have some of Lake Ball Hut, but they didn't make it to the blog. All you need to know is there's holes in the walls and the wind rips through them! It's like a fridge. No fireplace in that hut. It's all closed off. Dixons Kingdom? Not even sure if I've got any photos of the interior? I probably have, but I don't remember any fireplace, as it's tiny inside. Yeah, I slept in the bivy bag that night and woke up with a strange sound hitting the bag. It took me a while to work out it was snow hitting it!